Amino acids derived from the silkworm? Why not! The effectiveness at the highest level. If you are looking for "something new" but still effective - just try this product. 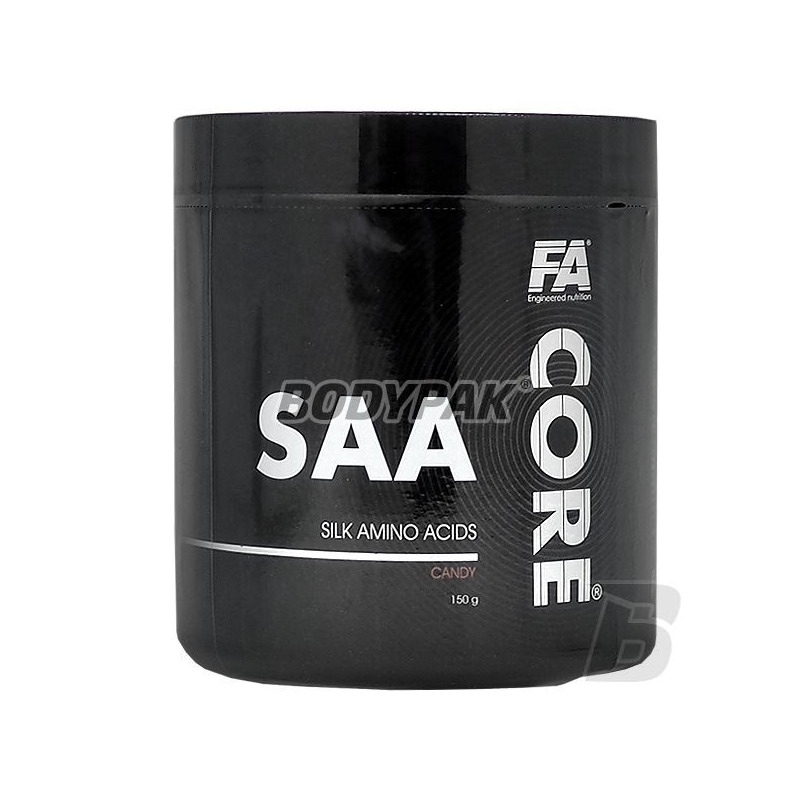 FA SAA CORE (Silk Amino Acid) amino acids derived from hydrolyzed glycoprotein extracted from the cocoon of the silkworm Bombyx mori. Silk proteins have been used for centuries in traditional medicine of China and Korea, and despite the fact that in Western culture appeared recently and are mainly used their properties in cosmetology is important supplements based on these aminkwasy increasing due to their broad biological activity. Depending on the degree of hydrolysis of silk protein is replaced by the 18-19 amino acid sequence characteristic of the peptides, which, depending on the hydrolysis method and the nature of the peptides obtained in this way may affect the scope of their biological activity. Unique repetitive sequences (repeated) in these peptides are responsible for their extraordinary strength, which among other things is used in cosmetology in the supporting structure of the skin in anti-wrinkle creams. Silk proteins provide all natural amino acids also exogenous and their percentage composition is characteristic of and weight significant proportion are only alanine (41%), glycine (38%), serine (10%), valine (4%), threonine (2%). The remaining amino acids represent less than 2%. A large share of the amino acids with the hydroxyl group responsible for the binding of water and a moisturizing amino acids based on these products. In a study conducted at Chungbuk National University we observed the effect of supplementation with high doses of AAS to increase the concentration of stamina (being a booster of energy) and increase the level of testosterone in the blood which affects the behavior of normal sexual function and increase endurance in mice *. 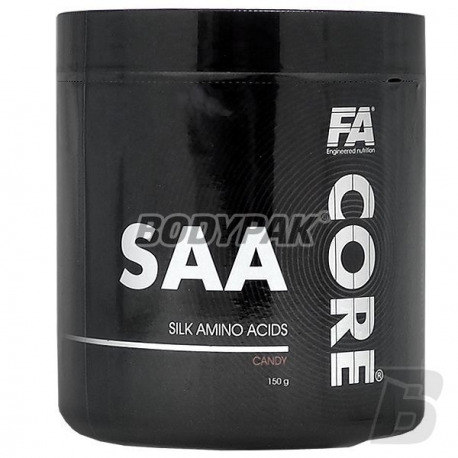 Similar research became the basis for the introduction of products based on SAA supplementation athletes, and now these products are recommended to support the exercise, gain strength and muscle mass and muscle strength in hard training people. * S. Shin, Yeon S., D. Park, Oh J., H. Kang, Kim S., et al., Silk Amino Acids Improve Physical Stamina and Male Reproductive Function of Mice - Biol. Pharm. Bull. 33 (2): 273-278 (2010). 1 serving in the morning on an empty stomach, 1 serving 30 minutes prior to the scheduled workout. 1 serving in the morning on an empty stomach, 1 serving between lunch and dinner. Niska cena zachęciła mnie do zakupu tego produktu. I nie żałuje, wręcz przeciwnie - jestem bardzo zadowolony. Lepsza regeneracja i więcej siły na treningu następnego dnia. Teraz można robić forme na lato! Easily digestible amino acids in the liquid. High concentration and original taste! Provide your body with excellent building material and to support your post-workout regeneration! High-quality formulation based on branched chain amino acids with the addition of citrulline malate and vitamin B6. Amazing taste and seamless solubility of each serving. It helps protect muscles against catabolism and accelerates regeneration and fatigue away! Perfectly protects muscles against catabolism and promotes regeneration after training! The highest quality amino acids in a unique ratio of 3: 1: 2. Supports strength training!